T3K-Forensics is participating at General Police Equipment Exhibition &Conference – GPEC digital 2019 in Berlin! 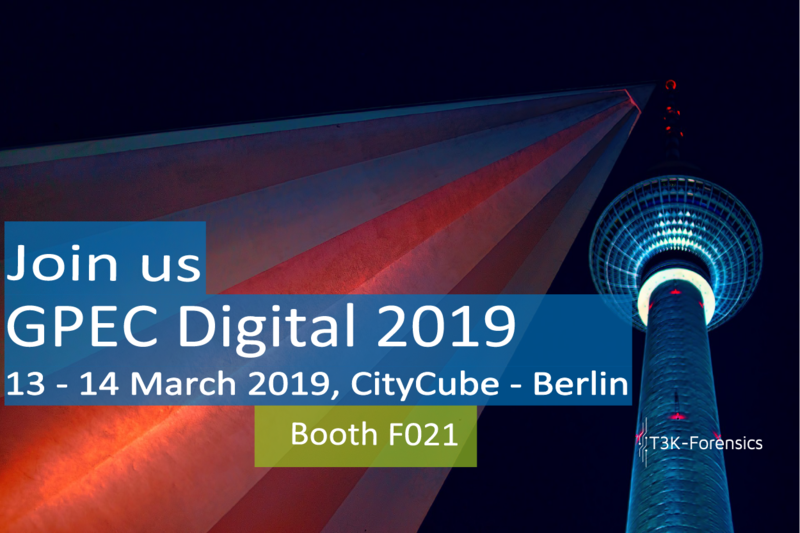 The event will take place on Wednesday, 13 and Thursday, 14 March 2019 at CityCube Berlin. This digital edition of GPEC will concentrate on the most innovative trends for Police and security authorities! Our CTO Richard Köwer will be presenting our outstanding image analysis capabilities. We would be glad to meet you there!